Watershed models, water cycle games, hands on activities, and the 2018 4th grade Water Ethics Contest posters. Join Willow Bend and Airborne Raptors Unlimited for an educational presentation about native birds of Arizona. Meet LIVE birds including a Peregrine falcon, American kestrel, Gyrfalcon and more! You’re going to want to bring your camera. Get an up-close look at some beautiful, LIVE raptors! Join Willow Bend and International Raptor & Falconry Center for a day all about these impressive birds. 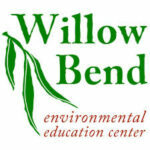 Join Willow Bend and the Arboretum at Flagstaff for a celebration of spring! 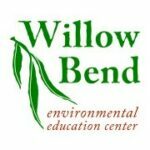 Join Willow Bend, Prometheus Solar, Arizona Wind for Schools and other partners for a Science Saturday that is all about renewable energy! Science Saturday at Willow Bend! Come Celebrate Fish and watersheds and get your hands wet!